Students Jaycelyn Ledda, left, and Sean AhLoo are ready for the ABIT program. PC: University of Hawai’i. The University of Hawaiʻi Maui College and Kapiʻolani Community College are partnering to offer a new online business Information Technology degree. Beginning in fall 2019, students can work toward a new bachelor of applied science degree in applied business and information technology from the University of Hawaiʻi Maui College. The curricula for this online degree emphasizes business and stresses the importance of using the skills and knowledge of information technology effectively. The program also includes an interdisciplinary focus on liberal arts courses in the humanities, social sciences, English, communication and math. A memorandum of agreement between the colleges creates the first baccalaureate degree program that integrates the curricula between two community college campuses in the UH System. 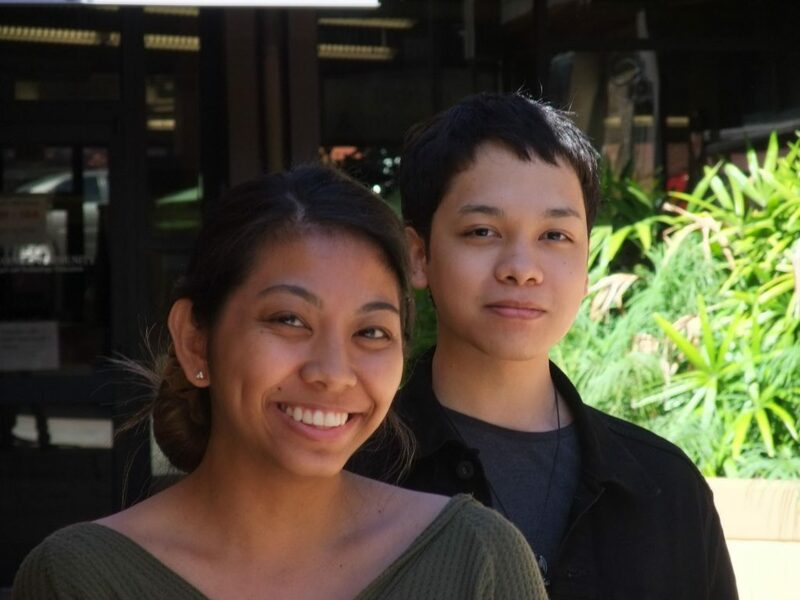 Under the agreement for the online degree, students who earn an associate in science degree in IT from Kapiʻolani CC transfer to UH Maui College to earn a bachelor of applied science degree in ABIT.